Learn how to use Python to write programs that do in minutes what would take you hours to do by hand -- no prior programming experience required. Once you've mastered the basics of programming, you'll create Python programs that effortlessly perform useful and impressive feats of automation. PyQt4 is a toolkit for creating GUI applications. It is a blending of Python language and the successful Qt library. This tutorial is suited for beginners and intermediate programmers. You will learn to program non trivial PyQt4 applications. 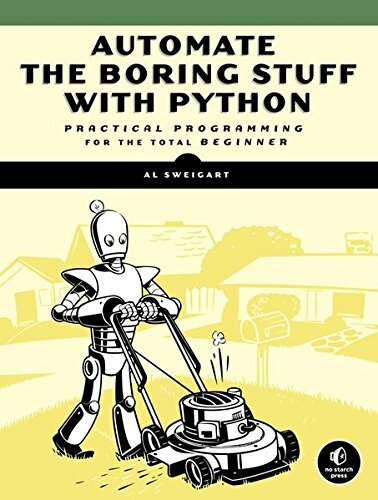 This cookbook is for experienced Python programmers who want to focus on modern tools and idioms. You'll find complete recipes for more than a dozen topics, covering the core Python language as well as tasks common to a wide variety of applications. A concise introduction to software design using Python. Intended for people with no programming experience, this book starts with the most basic concepts and gradually adds new material. The goal is to teach you to think like a computer scientist.